Experience total control in your hand. 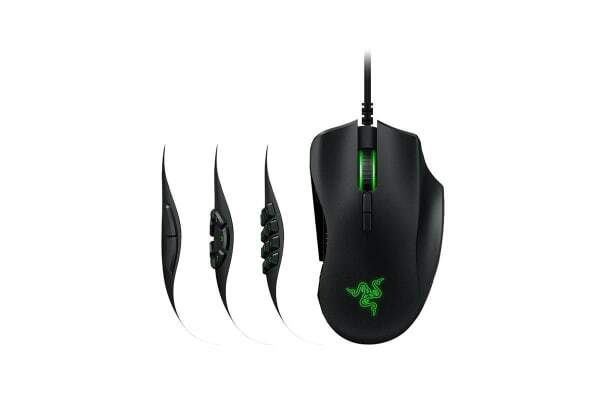 Designed to provide you that edge you need in MOBA/MMO gameplay, the Razer Naga Trinity Chroma Gaming Mouse lets you configure your mouse for everything from weapons to build customisations so you’ll always be ahead of the competition. 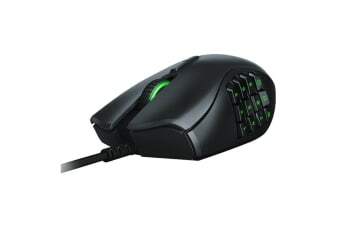 Equipped with the advanced 5G optical sensor with true 16,000 DPI, the Razer Naga Trinity is optimised for precision and speed, ensuring movements are swift, your spells are on target and that you get out of the fire when battles turn intense. 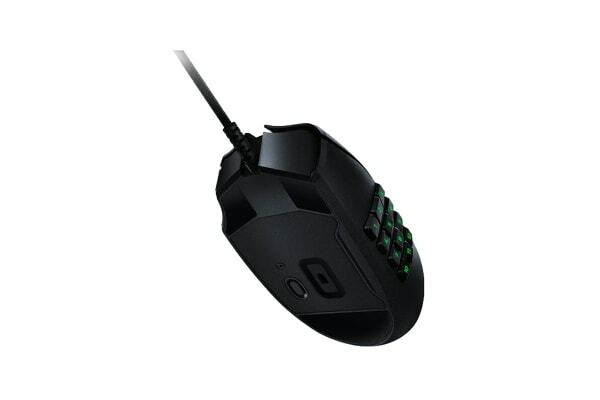 With interchangeable side plates for 2, 7 and 12-button configurations, transmute your mouse to suit your gameplay. Each button is designed to stand out so you’ll never misclick, providing tactile and audible feedback so you’ll be assured of every move. The more buttons you have instant access to, the greater your advantage becomes. With up to 19 programmable buttons, be spoilt for choice whether you’re assigning just the essentials or going full-out to bind item hotkeys, spells or any other in-game commands you need.